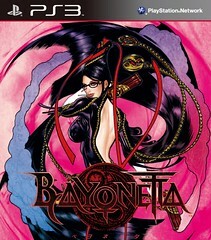 Bayonetta will receive a budget release in Japan. This release will feature a reversible box art (see above) as well as a number of trailers related to the game. It also features a trailer of Vanquish, Shinji Mikami’s new game. The game will ship with the traditional budget release art. These might be the news Platinum Games’ producer Yusuke Hashimoto teased earlier this week. This entry was posted on August 5, 2010 at 4:17 pm and is filed under Bayonetta, PlatinumGames, PlayStation 3, Xbox 360. You can follow any responses to this entry through the RSS 2.0 feed. You can leave a response, or trackback from your own site.